Writers Centre magazine with a humorous take on places to write. 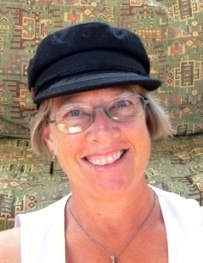 newspaper with a world -wide distribution, has published her humorous articles about boating and reprinted a short story from her recently published collection. She was featured as a local author in a Townsville lifestyle magazine called Duo in their September '10 issue. Hettie's latest novel is The Mask of Deceit select the cover learn about the book.